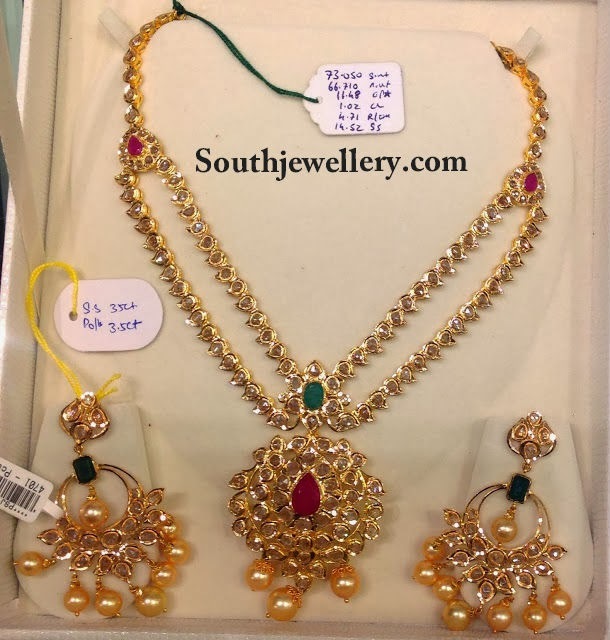 22 Carat gold antique finish necklace with nakshi pendant adorned with rubies, emeralds and pearls by Jatin Mor Jewellers. 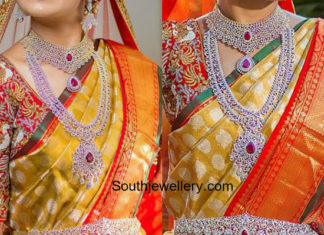 South indian bride in diamond jewellery set. 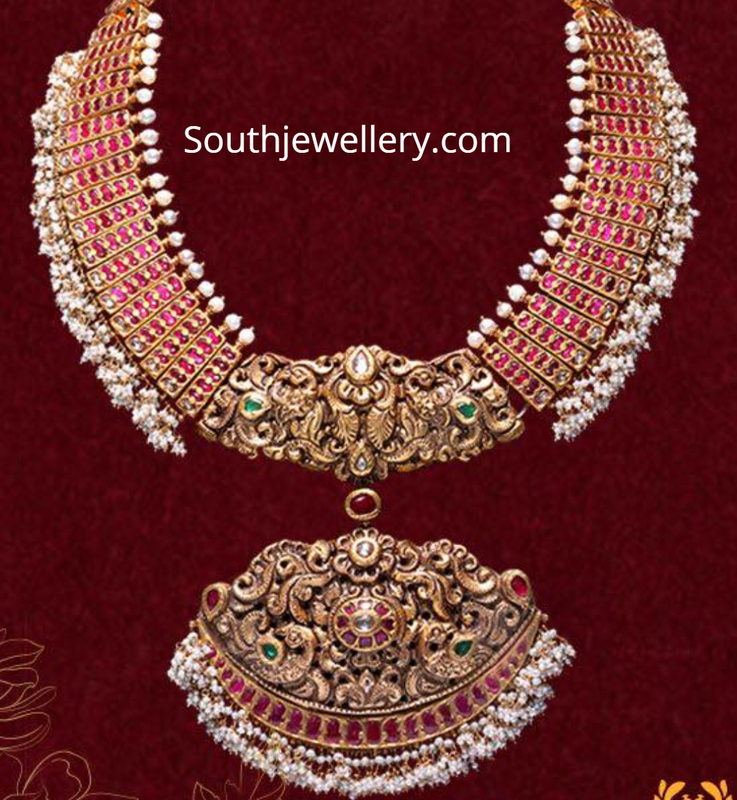 She adorned a diamond ruby choker, diamond ruby long haram, diamond ruby vaddanam and jhumkas.